As informed by Chris Hejnar of Hejnar PHOTO, the recently released Updated Table-Pod TP-002 Macro Ball Head Base has become available as a set accompanied by a small ball head and a quick release clamp. 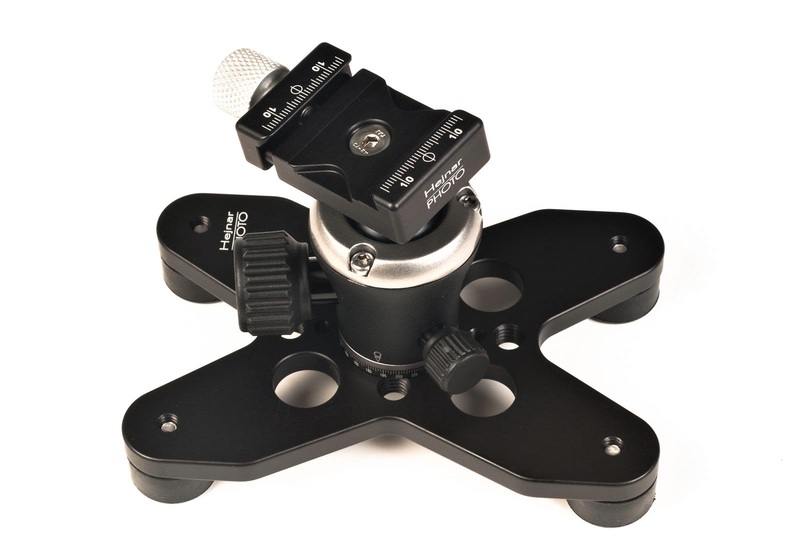 The quick release clamp is the well known and also updated Hejnar PHOTO F61b 1.5" Quick Release Clamp Review and you may find more information in the quoted review above. On the other hand the ball head is a newcomer in the market, originating from the far East. Specifically the model is Gizomos GHP-30D resembling a lot with the newest Gizo ball head models at least in the shape and outer structure. The ball head has separate Friction/Lock and Pan lock knobs but not a friction limiter, making it more easy to operate. Current price for the TP002GHP-30D Pod with head and clamp is US$ 149.00 (+Shipping where applicable) and is available from the Hejnar Photo online Store.